A nationwide search for a missing 13-year-old Czech boy exposed a bizarre case of identity theft in which a 33-year-old woman spent four months posing as a schoolboy in Norway, police said Thursday. Barbora Skrlova had been hiding from Czech authorities to avoid giving testimony in a 2007 child abuse case, Czech police said. She was deported back to the Czech Republic and detained Wednesday after months of fooling teachers, childcare workers and police in Norway by passing herself off as a boy named "Adam," Czech police spokeswoman Andrea Prochazkova said. A woman who supplied a Czech passport enrolled her son "Adam" at the Marienlyst school near Oslo last September, authorities said. Adam was actually the 5-foot-2 Skrlova, her breasts bound and head shaved, authorities said. School authorities said they did noticed Adam's strange behavior. "We did react to Adam's behavior. But it's not easy to know. Children at that age can be so different," school principal Ingjerd Eriksen told the Oslo newspaper Dagbladet. In mid-December, however, Adam disappeared from an Oslo children's home, prompting police to launch a nationwide search and publish photographs Jan. 4 of the missing "child." Tips led them to Skrlova in the Arctic city on Tromsoe. "It turned out that the so-called missing teenager was a 33-year-old woman," Norwegian police said in a statement. "Not even we have been able to figure out what is up and down in this case," Norwegian police attorney Sven T. Roer said. Oslo police said the Czech parents of the real Adam are believed to have helped Skrlova deceive Norwegian child care authorities by claiming she was their son. It apparently is not the first time Skrlova fooled authorities by posing as a child. In the Czech city of Brno, Skrlova posed as a 13-year-old girl adopted by Klara Mauerova, Czech police said. 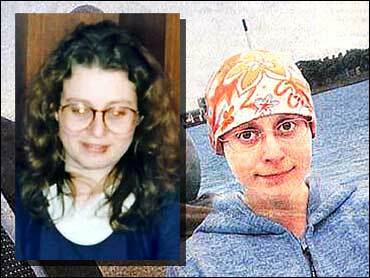 Mauerova is suspected of abusing her two younger biological sons, and Skrlova is key witness in the case. Facing an investigation, Skrlova went with friends to Denmark, and ended up in Norway. Czech authorities now are looking into whether Skrlova should be charged with identity theft and misleading authorities, police said. Skrlova also was undergoing psychiatric evaluation, police said. She is being held in Brno, 125 miles east of Prague. Associated Press writer Ondrej Hejma contributed to this report from Prague, Czech Republic.